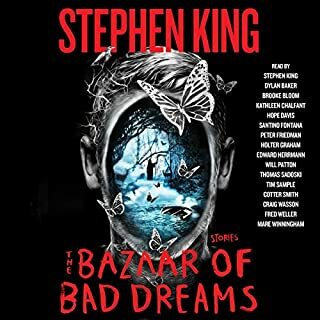 A master storyteller at his best - the O. Henry Prize winner Stephen King delivers a generous collection of stories, several of them brand-new, featuring revelatory autobiographical comments on when, why, and how he came to write (or rewrite) each story. Magnificent, eerie, utterly compelling, these stories comprise one of King's finest gifts to his constant fan. "I made them especially for you," says King. "Feel free to examine them, but please be careful. The best of them have teeth." In End of Watch, the diabolical "Mercedes Killer" drives his enemies to suicide, and if Bill Hodges and Holly Gibney don't figure out a way to stop him, they'll be victims themselves. 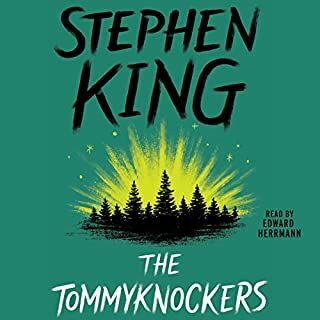 Retired police detective Bill Hodges, the unlikely hero of Mr. Mercedes and Finders Keepers, now runs an investigation agency with his partner, Holly Gibney - the woman who delivered the blow to Hartsfield's head that put him in the brain injury ward. 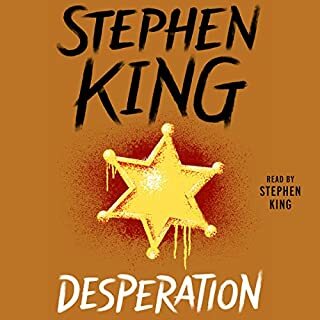 When Bill and Holly are called to a suicide scene with ties to the Mercedes Massacre, they find themselves pulled into their most dangerous case yet, one that will put their lives at risk as well as those of Bill's heroic young friend, Jerome Robinson, and his teenage sister, Barbara. Brady Hartsfield is back and planning revenge not just on Hodges and his friends but on an entire city. 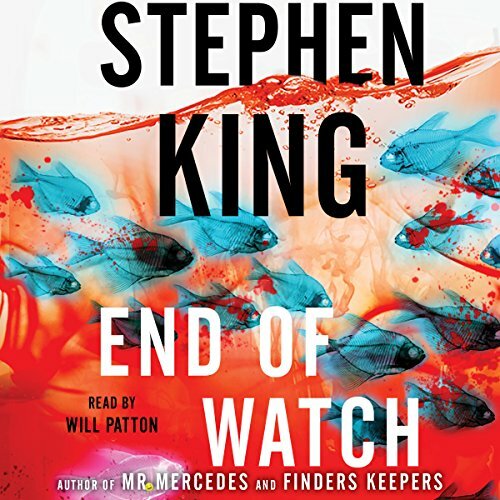 In End of Watch, Stephen King brings the Hodges trilogy to a sublimely terrifying conclusion, combining the detective fiction of Mr. Mercedes and Finders Keepers with the heart-pounding supernatural suspense that has been his best-selling trademark. The result is an unnerving look at human vulnerability and chilling suspense. No one does it better than King. The first book was absolutely astounding and I love how the second book just continues with the same characters. You get to know the characters so well and I was actually saddened at the end. Love the orator and his tones! Must read!!! Loved all three and thought this wrapped up the story nice. Best of the trilogy. Great recovery from a more bland book 2. Performance as always was excellent. 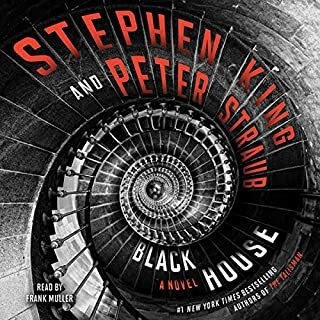 This was a great end to what started in Mr. Mercedes. Story wise, King remains the king in hooking me into the characters quickly. Wil Patton did a marvellous job narrating with distinct voice characterizations and great vocal animation. The only downside is the trilogy ends here but a great sign off to excellent characters. Superb set of books with the last two (the ones I listened to as audiobooks) being well performed. The saga of retired cop turned private eye Bill Hodges concludes in “End of Watch.” Once again Mr. Hodges and partner Holly are confronted with another scheme by Brady Hartsfield, the deranged homicidal maniac that was dubbed “Mr. Mercedes,” but this time it’s on a supernatural level. 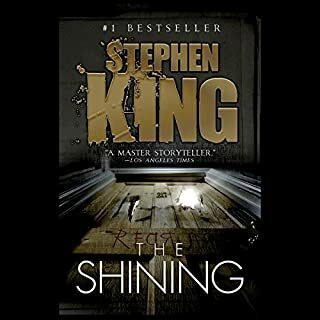 Room 217 holds a special place for Stephen King; it’s that room number mentioned in the “Shining,” and also the room in the Stanley Hotel that Stephen King stayed in before he wrote the famous story. Now it is the room in the Lakes Region Traumatic Brain Injury Clinic where Brady Hartsfield resides supposedly in a vegetated state; but we know from “Finders Keepers,” that Bill Hodges has his doubts. 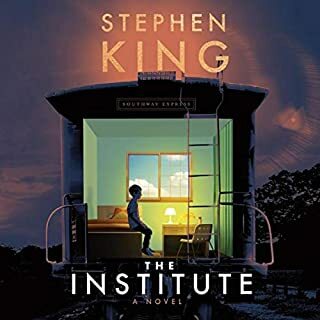 Stephen king uses his mastery weaving real life horror with the supernatural and creates a fast paced riveting story that I believe is the best of the three. 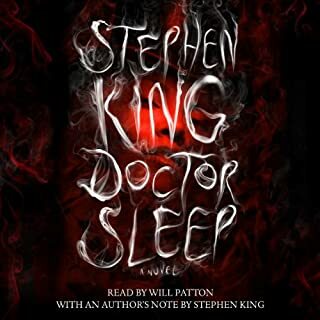 Will Patton’s narration is great, as usual. Wish this series could have been longer. 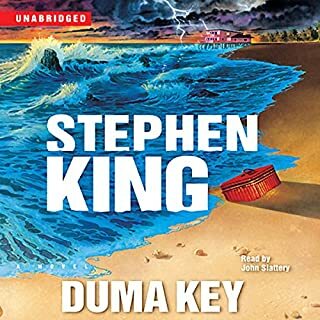 SUCH an intelligent thrilling/horrifying ( true King mastery ) listen! Narration perfect! Each character had their own unique voice. SUCH strong, cohesive protagonists! Brady was well done, too! Never ending twists and turns, all while waiting to see what was coming next makes this series ender particularly enjoyable. "End Of Watch" has jolted me into prioritizing, and making a point to slow down, and really tuning into the people around me. Something as small as asking someone how they are doing, and just listening, could make all the difference in not only their lives, but also in the lives of those that may be directly affected by their future actions. I like his acting a lot, but I may like his narration better. As for SK ... I feel inadequate trying to describe what he pulls out of me with his books. What an unlikely band of white nights in this trilogy! But SK works magic with them, and the personality Patton gives to each and every character is nothing short of genius. I absolutely loved this book, I went through it in one day! 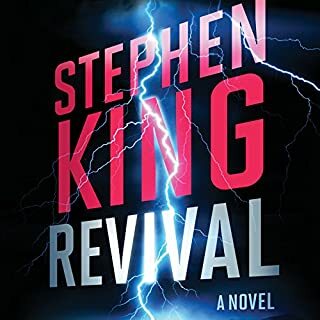 Mr. King proves again that he can write in just about any genre he wants to (although I don't think that was his intention, he writes what comes to him and not much else) without any problems with characters or plot flow. 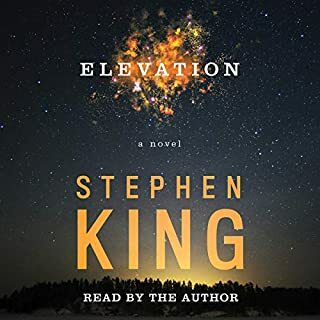 I was sad that this is the last book because of the amazing characters in this story, I have read (or listened, I have both the audio and the books) these books three times now, minus "End of Watch" due to it's being released today and loved them each time. To bring this to a close I will say this: Buy this book if you have read the other two first. If not? Go back and get "Mr. Mercedes," then "Finders Keepers," before this book. Trust me, you won't be disappointed. This is Stephen King at his best! Believe It! I couldn't even finish this one. The characters are wonderful or monstrous but all well-created. But I've never enjoyed novels in which magic is pivotal to the resolution of the story. And magical powers drive this book throughout. There's a mystery as to how the villain does what he does, but instead of a brilliant and plausible solution, it turns out he has paranormal powers. Felt like a cop-out to me. 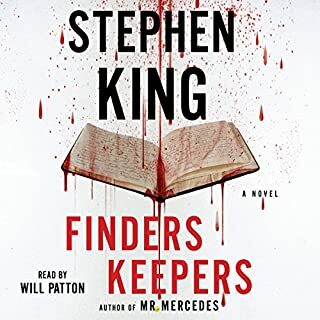 Spoilers afoot!With "Mr Mercedes" and "Finders Keepers" King had established two Detective novels that propelled this reader along to engrossing (Mercedes) and satisfying (Finders) conclusions. 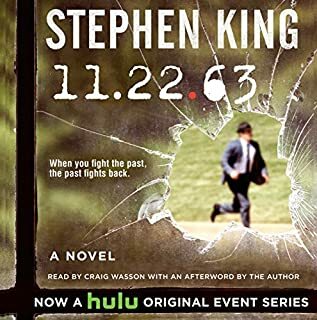 Before "End Of Watch" the world of Detective Bill Hodges was tightly rendered and omitted Kings (often masterful) use of Supernatural themes for a world firmly based in contemporary America. Who needs Vampires when you have such a horrifically brilliant killer like Brady Hartsfield afoot? Well, it seems that King could not help himself. King, in an utterly unnecessary blunder, decided to resurrect his brilliant villain using advanced psychic powers, which is absolutely baffling considering the two previous books in the series gave zero indication that the Supernatural could be even remotely "real". I found Brady's psychic resurrection to be remarkably lazy, unwarranted and just plain stupid, and for a master world-builder like King, pretty unforgivable. 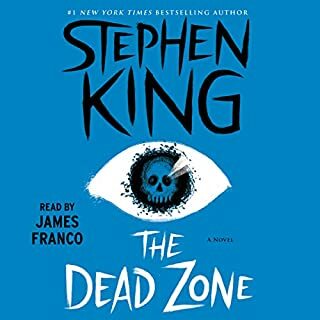 Now, if one can get over this blunder, (or just doesn't care) and has read the other two books in the series, then "End Of Watch" should be a satisfying conclusion to the trilogy, after all it's still King, but I found this detour into a silly occult plot hole left a nasty taste in my mouth. 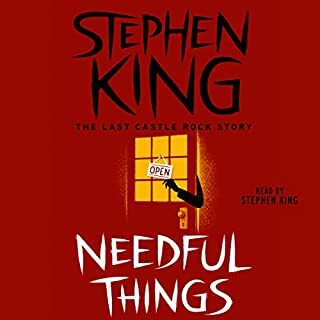 All said and done, if one is looking to explore these book, I'd start and finish with "Mr Mercedes" as it's all downhill from there. Mr Mercedes is still one of the best police procedurals I have encountered. So it is with that in mind I choose to rate this third book in the trilogy a huge disappointment. Yet, the characters are great, the story is intriguiging, Will Patton is awesome. The drawback for me was King going back to his horror roots. Normally I love his supernatural works. 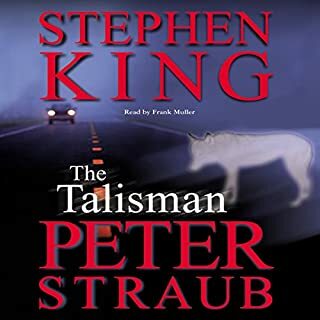 However, I was so impressed with his segue into real police work in the first two novels, I find I have no patience for the heroic gang of misfits hunting down a supernatural bad guy... Even if it takes great police work to catch the guy. King's been writing, and we've all been reviewing, long enough to know that everything's been said about his talent, the hits, the misses, our favorites, the one we regretted. Through all of these ups and some downers...I still wait for a new King book. King captured moments in time and in our lives, he hit those emotional connects like no one else. There was a time when I thought the beginning to a perfect summer meant a good pair of cut-offs, the beach and a good King thriller. It's like the saying *even a bad day of fishing is a good day"--even a bad Stephen King is a good read. That's my thinking when I say, it wasn't my favorite, but I'm glad I read End of Watch. There are themes here that pricked today's zeitgeist -- death by Candy Crush -- or mind control, the power of suggestion, social pressures and suicide. Hodges, Holly, and the return of computer wiz and lawn mower boy--Jerome, were great characters that personified devotion, friendship, and good for goodness' sake. 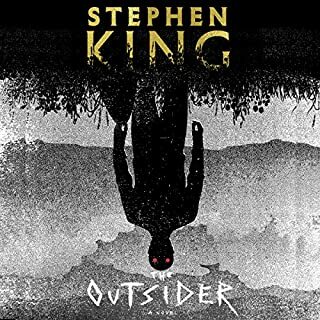 What I missed here (because I'm not blaming King for my likes or dislikes) is the atmosphere so prevalent in King's books that pulls you into almost another dimension where everything is alright...but something's not right. Like reality through a fun house mirror. I can't imagine letting summery days go by with this one glued to my hands; I had to force myself to press through. 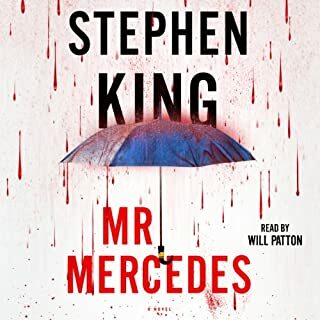 From the beginning Mr. Mercedes wasn't my favorite villain, so I wasn't expecting to love the series, but it felt like the story slid to a slow finish that validated my half-hearted affair with this series. Once the z-thing is introduced, you know where this is going, how it will end, but still the end catches you off guard. It is a different kind of ending for King and one that pokes at your heart -- a little unexpected touch from the author. The emotion it pulled out of me gave me a jolt of finality. For the excellent characters, and that final tug, I added a star. I think those that have been fans of the series will love the conclusion, and that those wanting to pick this up as a stand-alone read can follow along. The good thing with King is that if this one doesn't float your boat...there's plenty of other choices to sail away with. I can still pick up Salem's Lot or Joyland, The Shining, The Body, and sink back into one of those moments in time. 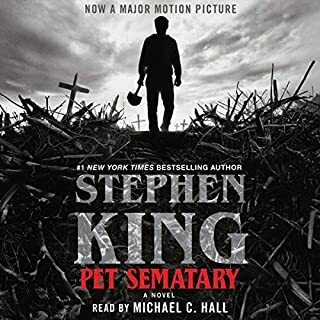 As for the narration--If I wrote a book, Will Patton (or Ray Porter) would be my choice of narrator, but Patton's reading of Holly, his halting sentences and jerky cadence never stopped irritating me. It was like listening to a sputtering car and I couldn't tell if it was his interpretation of Holly's possible *issues* or as one reviewer noted, a glitch in the recording. Excellent story. Enjoyed this series on a long driving trip. Made the miles go quickly.